One of the more opportunistic responses to the meltdown at Fukushima was that of nuclear advocates claiming that since there were no shots of anyone dying on TV public anxiety about nuclear power was misplaced and environmentalists opposition to nuclear power unjustified. Reducing a multidimensional energy policy issue to a body count – nuclear kills less people than coal so it’s OK – is not an argument of profound analytic integrity. On this logic no-one should make a journey by road if there is an option to fly since traffic accidents kill more people every year than aviation. Magicians are skilled at distracting your eye so that you do not see what is actually happening in front of you. This cynical focussing of public attention on the absence of immediate deaths from Fukushima was a contemptible effort to divert attention from its real consequences. The lives of a hundred thousand people evacuated from the area have been totally destroyed. They are never going home. Two and half years later little compensation has been paid and many are still living in temporary accommodation. The direct cost of Fukushima could well exceed half a trillion dollars and the indirect costs will be some multiple of that. Design faults, extraordinary events, operator errors, mismanagement all played their part in an accident that 32 months later is still not over. But one thing has become very clear. A root cause of the accident was the failure of Japan to develop a regulatory culture appropriate to a nuclear industry of this scale. The consequences of nuclear accidents are potentially so severe that their safe operation requires fault-free management. This in turn requires a very demanding regulatory culture. We know what such a culture looks like. The aviation industry kills many more people every year than the nuclear industry. But unlike the nuclear industry it is trusted by the public. This is because it has built a regulatory culture that aggressively identifies and publicises the causes of accidents, mandates tough corrective action and publicises operators that do not meet global standards. This is not what the Japanese nuclear regulatory culture looked like. Instead, mistakes were hidden, records were falsified, unwarranted assurances were given to the public and failures to operate safely went unpunished. Rather than the arm’s length relationship between industry and regulator necessary for public confidence, there was a collusive relationship in which both regulator and industry were primarily concerned to keep the plant operating as much as possible. Japan was relying on nuclear energy to meet its climate change targets. 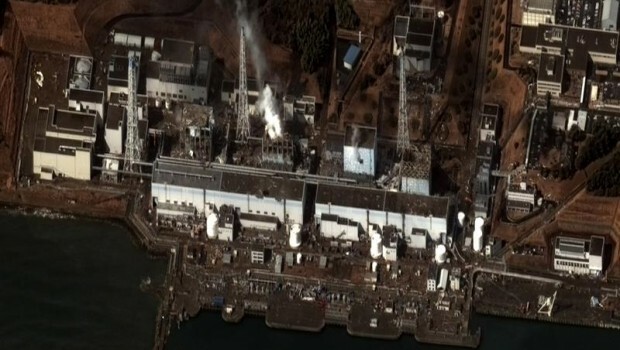 Fukushima shut down all of its reactors. Public opposition is keeping them closed. Japan has now announced it is therefore abandoning its targets and instead of declining its emissions will rise. It is not obvious that this was the only course open to Japan. Many Japanese voices are pointing out that Japan has lots of options for meeting its energy needs without sacrificing its climate goals despite the absence of nuclear. But there is nothing unusual, or particularly Japanese, about such political expediency. There is a clear warning here for those who think that more nuclear power is essential for tackling climate change. The nuclear industry has long understood that an accident anywhere is an accident everywhere. It is not hard to imagine the public reaction globally to another nuclear accident on the Fukushima scale. There would be calls everywhere for reactor shut downs. How likely is that? The theoretical calculations of the likelihood of a meltdown speak of one such incident every million reactor years. Real experience, however, implies a frequency of one in about five thousand reactor years – about once a decade. Where might it happen? China has the world’s most ambitious nuclear programme. It is planning to almost quadruple its nuclear capacity in 7 years to some 81GW. This would be the most rapid nuclear build up ever. Whether it can be done to the build quality necessary for safe nuclear power stations remains to be seen. Much will depend on the nuclear regulatory culture that China is having to build at the same speed. China is not the most transparent country on the planet. Independent assessment of the actual strength of its nuclear regulatory culture is unlikely to be available anytime soon. Evidence from elsewhere in China such as food and rail safety is not encouraging. The siren voices promoting a massive global nuclear programme to deal with climate change are betting that China will get it right. Any government considering following their advice should consider carefully how much of its economic and environmental risk it is willing to put into the hands of untried nuclear regulators.